List the two primary purposes of plumbing and the three overall parts of a plumbing system. Describe the difference between a building code, a building standard, and a plumber’s license. Define key plumbing terms, including backflow, back siphonage, branch, building drain, drain, inceptor, potable water, septic tank, trap, vent stack, water flow controls, and water supply system. 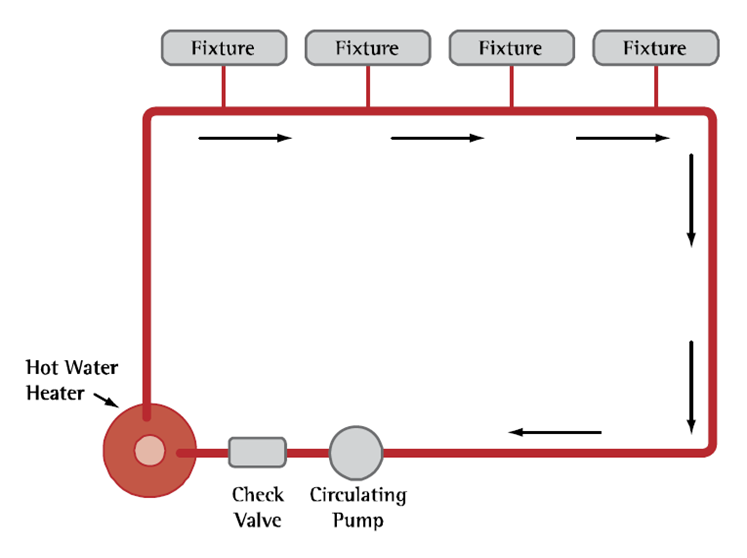 Identify eight materials used for pipes in plumbing. For three of these materials, describe a positive attribute or use. For the other three materials, describe a negative attribute or why some local codes may prohibit this material for water supply piping. Describe the key attributes of the four basic hot water delivery system types that are used in single- and multi-family homes. 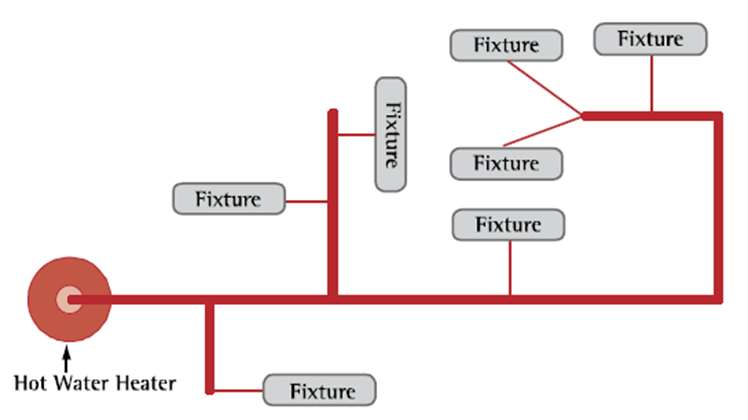 Sketch the general configuration of the typical for trunk and branch, core, whole-house manifold, and demand hot water delivery system types and explain the overall concept of each design. Identify and compile a list of the key plumbing building codes for a residential building in your climate zone. For your specific climate zone, research, identify, and list key building processes, materials, and design elements plumbers should apply 1) to prevent water leaks and facilitate leak detection and repair and 2) to prevent condensation on cold water lines and fixtures. Analyze how the EPA WaterSense® New Home Specification can be applied to a new home built to code in your climate zone to use approximately 20% less water. Matching Plumbing Terms ExerciseThis document provides an exercise for students to match plumbing terms with thier definitions. 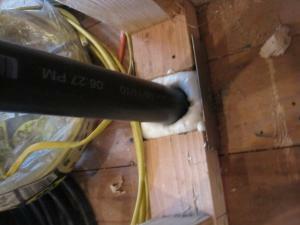 Electrical and Plumbing PenetrationsVideo that discusses electrical and plumbing penetrations in homes. Difference between Plumbing TermsDescribe (through their definitions) the difference between the following terms: licensed plumbing contractor, building code, and building standard. Model Codes Related to PlumbingIdentify the building codes that relate to plumbing requirements in the U.S. Sketch Trunk and Branch and Core Plumbing LayoutsSketch the general configuration for trunk and branch and for the core hot water delivery system types and explain the overall concept of each design and why the core system saves energy and water. Insulation and Air Sealing Related to PlumbingFor a cold climate zone, for pipes in a bathroom, list where wall insulation and air sealing should occur to prevent pipe freezing and condensation on cold water lines and fixtures. Plumbing is the system of pipes, drains, fittings, valves, and fixtures installed for the distribution of potable water for drinking, heating and washing, and waterborne waste removal. 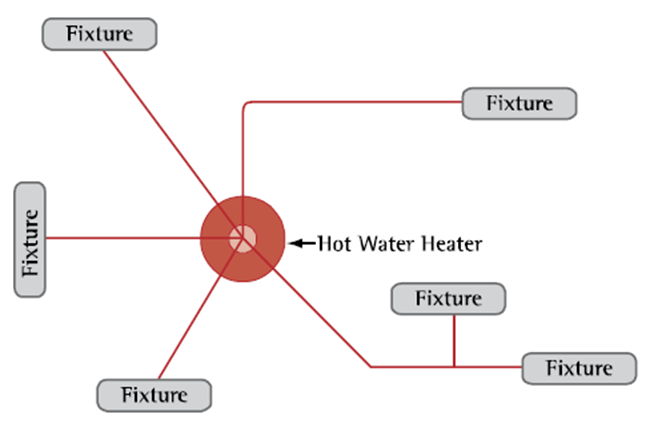 This module focuses on the interaction of the domestic hot water system with other building components.